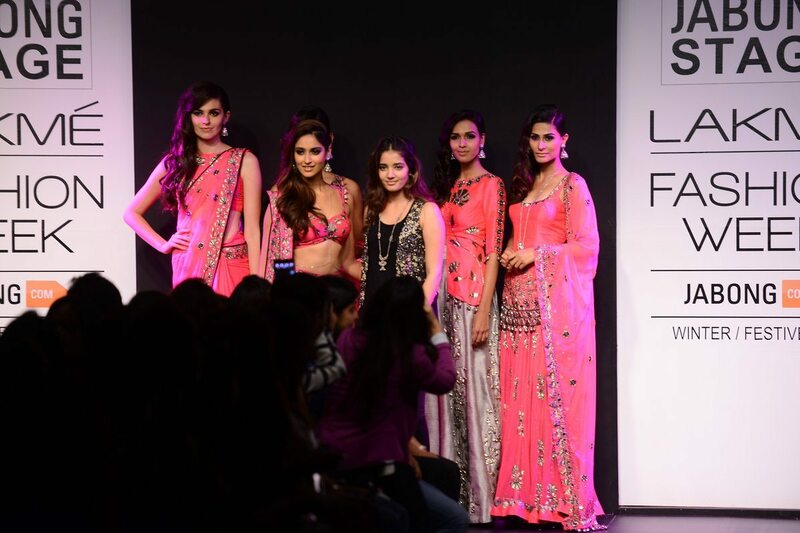 Petite beauty Ileana D’cruz walks for Arpita Mehta at the LFW 2014. Bollywood actress Ileana D’Cruz turned showstopper for designer Arpita Mehta on day 6 of Lakme Fashion Week 2014. The ‘Barfi’ actress looked gorgeous in a blush pink lehenga with silver work, accessorised with exquisite silver jewellery. Mehta showcased her collection ‘Starlight’ which drew inspiration from her grandmother’s love for vintage cocktail dresses. The designer used some luxurious fabrics like tabi silk, nets, raw silk and flat chiffon to create the designs, her colour palate used heavy tones of grey, oyster and hot pink. The collection included dresses, trousers, tunics, pants, dresses and anarkalis. Arpita also made used of a special embroidery tecnique known as the ‘button flower’ which has 3D thread flower works and were used as embellishments on the garments.